Manufacturer of a wide range of products which include led sign board, acrylic led board, led signage board and led display board. Keeping in mind the ever-evolving requirements of our clients, we are devoted towards offering an optimum quality range of LED Sign Board. 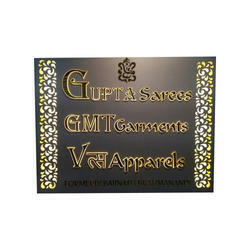 With our expertise and trustworthiness, we are engaged in offering an optimum quality range of Acrylic LED Board. Owing to our enriched industrial experiences, we are devoted towards providing a wide variety of excellent quality LED Signage Board. Owing to our in-depth industry experience and precise knowledge of this domain, we are providing an outstanding assortment of LED Display Board.